Marine Pleasure crafts and other marine applications. 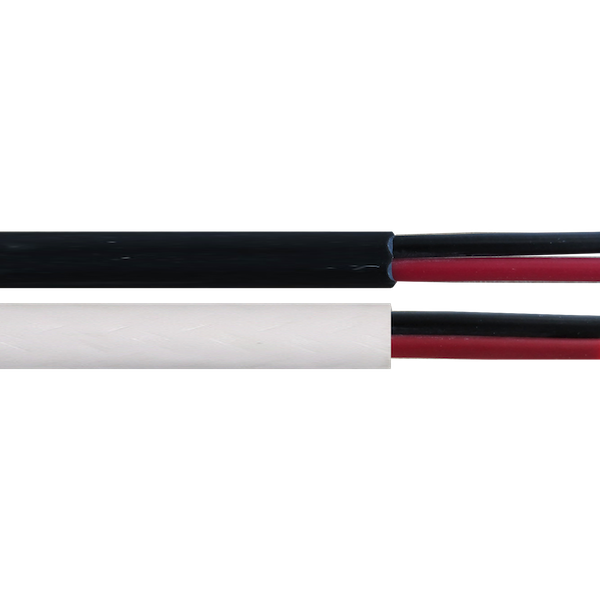 These cables are flexible for installation and intermittent flexible use with free movement without tensile stress. Audio Oxygen free copper for speaker wiring applications. Temperature Range Fixed -20°C to 90°C / Flexing -5°C to 75°C. Voltage Rating AC 50V / DC 120V. Core Colour Red & Black. Relevant Standards AS/NZS 1125, IEC 60332-1, ROHS Compliant.